A favorite among lure collectors, the original small lure is highly prized. 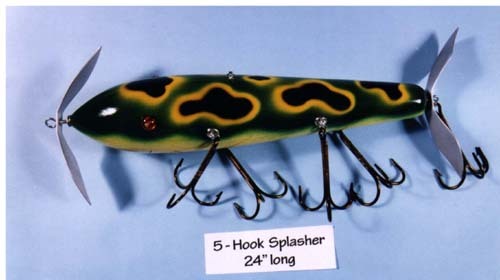 This "turn of the century" lure features very large aluminum propellers and an amazing number of hooks. Lures of this style were made by many different lure companies and seem to have worked well in the days before fish had ever seen a hook. This lure is among my best sellers and a must if your are going for antique decor.